This morning marked the emergence of the 17 year Circada, Magicicada septendecim, also known as the 17 year locust (though not a true locust). 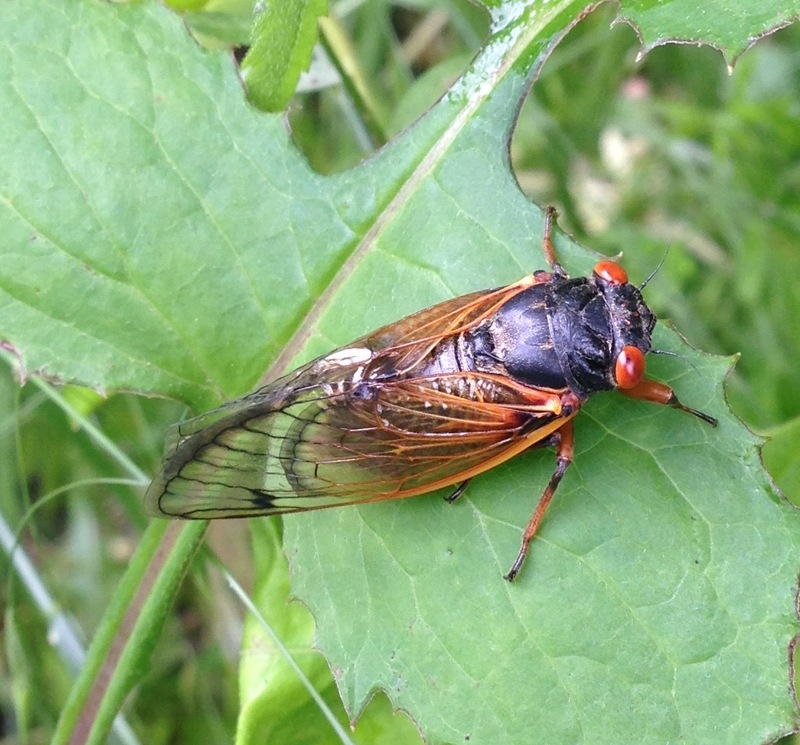 These Cicada, (part of Brood IV, or the Kansan Brood) began as eggs laid in 1998. They have spent the years underground as larvae feeding on plant roots and such. This newly emerged guy is spending some time perched on a leaf waiting for his wings to dry out. These Cicadas will live for a couple of weeks before mating and laying the eggs which will appear as adults in 2032. They really are spectacular with that striking array of colors. It looks like they’re dressed in tuxedos with red accessories!